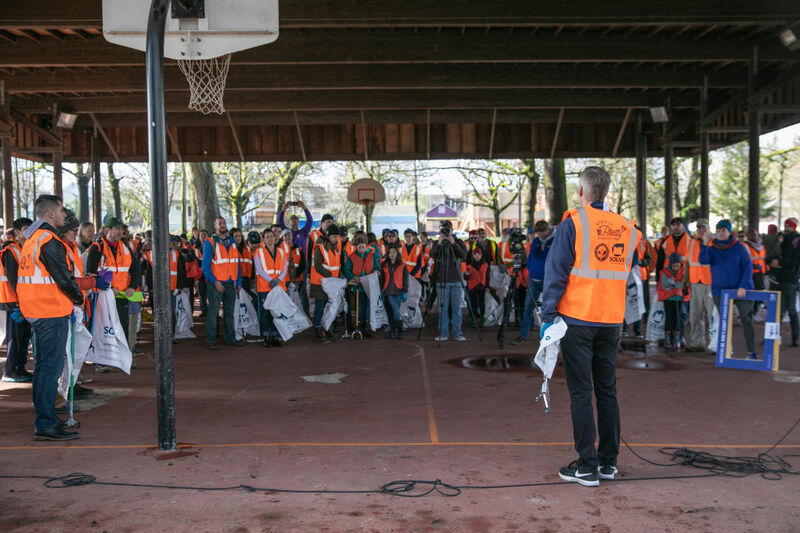 Portland Mayor Ted Wheeler rallies 200 volunteers to help clean up MLK Blvd with SOLVE. That connection was strong over MLK weekend, when nearly 1,500 volunteers joined United Way to honor the legacy of Dr. Martin Luther King Jr. The on-and-off again rainy weather didn’t dampen the 12th Annual MLK Weekend of Service. This year saw the highest number of opportunities to give back, with volunteers lending a hand at 73 nonprofit projects across the Portland metro region. United Way Board member, Janet LaBar, and her family label books at the Tualatin Library. Throughout the weekend volunteers packaged hundreds of pounds of fresh produce for families in need at Oregon Food Bank in NE Portland. Standing in the cold and mud, Beaverton-area volunteers helped build stairs and added insulation to new triplex homes with Habitat for Humanity. From sprucing up local libraries and elementary school gardens to cleaning up books for low-income kids, volunteers of all ages contributed 4,422 hours of service by the end of MLK weekend. 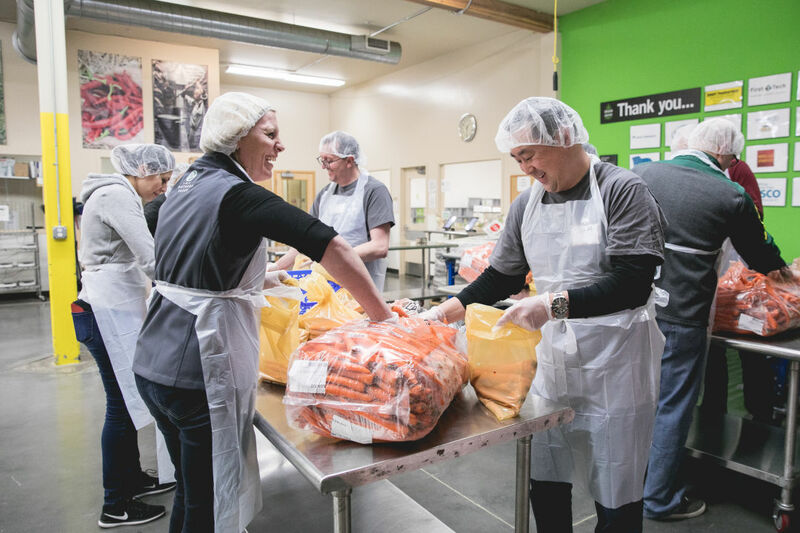 Volunteers help package fresh carrots for families in need at the Oregon Food Bank. The incredible outpouring of volunteer support couldn’t have come at a better time. With the partial government shutdown affecting federal and furloughed workers, local nonprofits are reporting an uptick in the number of families reaching out for services. By rolling up their sleeves and digging in, this year’s MLK Weekend of Service volunteers contributed a value of $109,179 back into the community. Local businesses also played a big role in the weekend’s success, sponsoring events and sending employees out in force to volunteer. Regence BlueCross BlueShield of Oregon returned as the presenting sponsor of MLK Weekend of Service for the fourth year in a row. Volunteers spruce up the school gardens at MLK Elementary. 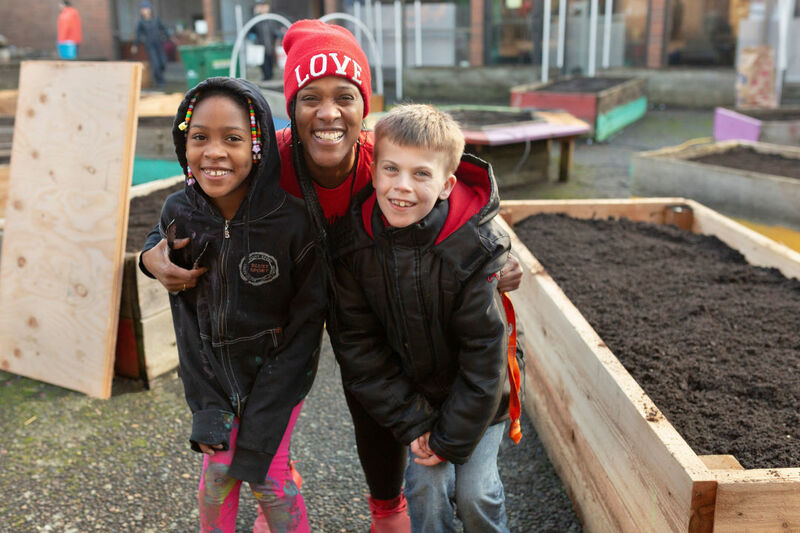 MLK Weekend of Service is a key part of United Way’s ten-year agenda around reducing childhood poverty and advancing racial equity in the Portland metro region. 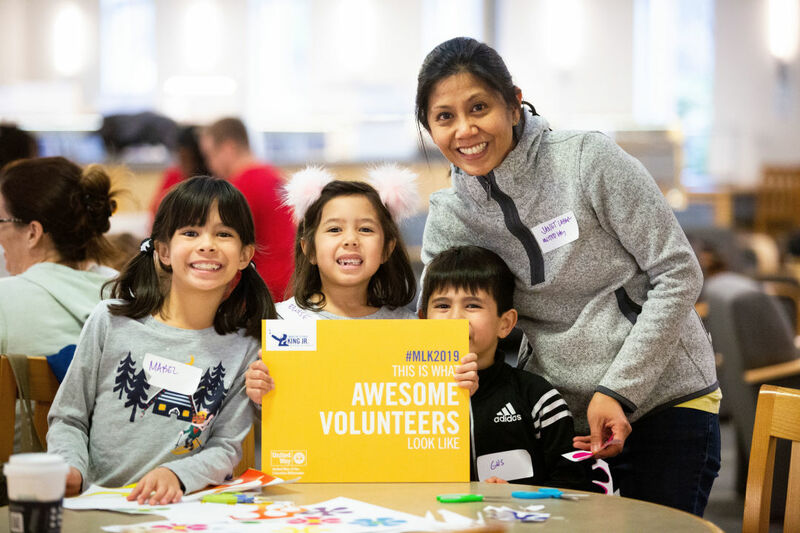 Last year, United Way mobilized more than 23,000 volunteer connections, helping more than 350 local organizations and contributing $1.89 million in service value across the region. At a time when 1 in 2 nonprofit organizations across the country turn clients away due to lack of volunteers and resources, the caring power of community members is more important than ever. That’s why Regence BlueCross BlueShield of Oregon is partnering with United Way to support volunteerism all year long. Between now and February 15, Regence BlueCross BlueShield of Oregon will match your gift to United Way dollar for dollar up to $15,000. 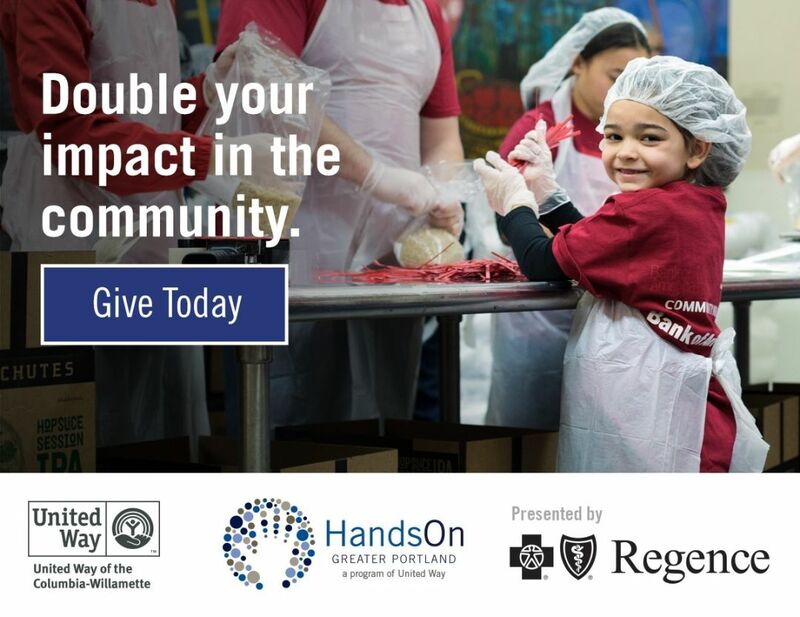 This match is a great opportunity to double your impact in supporting our volunteer program, Hands On Greater Portland, and helping make communities stronger for the kids of our region. By making a gift today, you can help ensure 100 families have the resources they need to stay housed. By making a gift today you can double your impact in helping nonprofits connect to volunteers year-round and continue to support kids and families in need.